January - YYJ Resident Santa Shave off for Hospice Society. February - Victoria Airport Authority (VAA) Anna-Marie receives 20 year fire fighting service award. March - Air Canada Q400 launch. April - YYJ Commissionaires exemplary award ceremony. June - YYJ Airport "Security" cows. 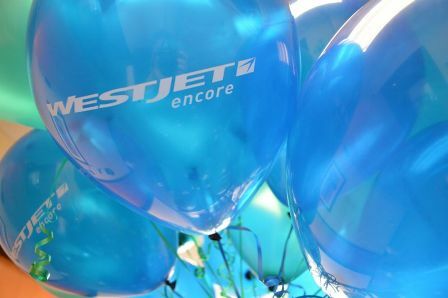 June - WestJet Encore launch. 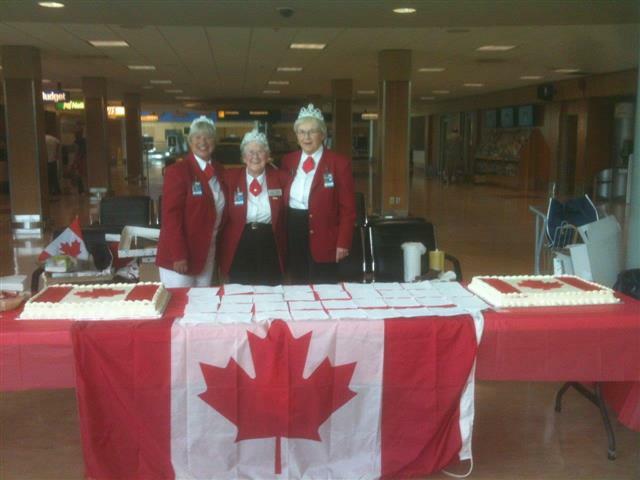 July - Red Coats Margarete, Doreen and Jacqueline serving Canada Day cake. 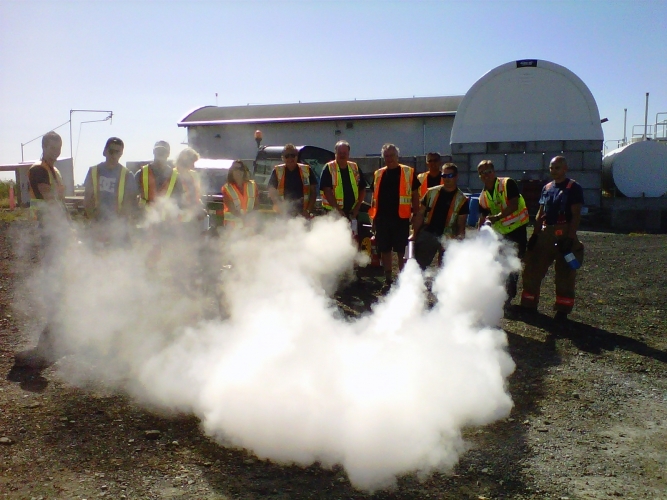 July - VAA staff taking fire extinguisher training.